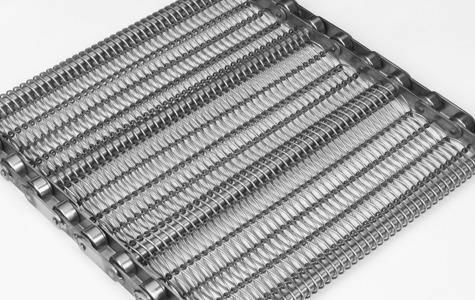 Delson is one-stop-shop from where you can purchase gigantic range of industry products like Wire Mesh Belt, wire mesh conveyor belt, wire conveyor belt etc. We strictly use top quality raw material in the entire manufacturing process. 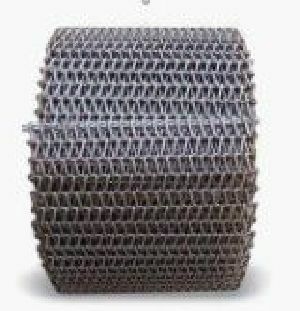 We have considerable expertise in the manufacturing of wire mesh belt, wire mesh conveyor belt, wire conveyor belt etc. We offer wire mesh belt, wire mesh conveyor belt, wire conveyor belt etc., at the most affordable price. Delson Wire Weave Conveyor Belts. 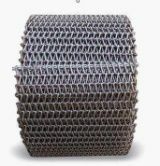 Metal wire mesh tightly woven for baking or conveying small parts. Wire weave is preferred by bakeries because it's open enough to provide even heat distribution and passage of gases. Wire weave can be woven of flattened wire to provide a surface that minimizes product marking. It's also preferred when and extremely flat surface is required. The best choice for conveying very small products and top heavy loads. Baking Industry: For Cookie Baking, Tortilla Baking, Bakery Belts, Food Processing, Crackers, Biscuits and popular with all forms of continuous baking applications of baked goods including cracker and cookie baking. Industrial Industry: Heat Treating of small parts, Hardening, Tempering, Quenching It's great for for handling small parts in heat treating and quench tank operations. The smooth surface is ideal for transferring and conveying small parts drying.